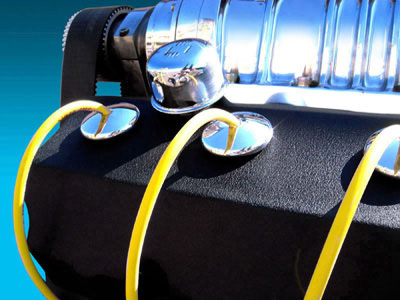 Dress up your Hemi engine for that custom look with our new Hemi Deco polished tubes covers. 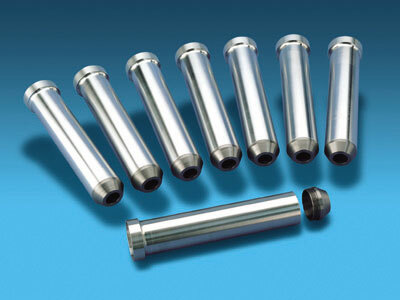 These tube covers have a threaded base that simply screws on top of our Billet tubes. They are Awesome looking and they keep water and debri out of your tubes. Note: Fits Hitech spark plug tubes only. Available in three different styles. Please note Mopar Logo tube cover is not available for sale. HRS6	Smoothie. HRS7	Twister. HRS8	Torquer. Notify me of updates to "Smoothie"